Imagine that you are helping out at major international championship card game. The organizers of the tournament have ordered 2000 brand new, sealed decks of cards to ensure the games will run properly. Now, a problem arises. Someone reports that there is a problem with one of the cards in one of the decks and that problem is with one card, the seven of hearts. There is not much time and they are worried that all 2000 decks of cards might have this same problem, so they ask you to pull out a few decks and check for problems with the seven of hearts to make sure that they are okay. There are two kinds of problems that you might have, and checking for one doesn’t necessarily help finding out about the other one. One problem is that the card might be printed incorrectly. This card definitely has problems. One heart is completely missing and another is incomplete. This one also is clearly messed up. It is partly a 7 of hearts and part something else. NOW, if you think of each pack of cards as the set of genes in a cell, and you think of the seven of hearts as the MECP2 gene, these kinds of errors are very roughly equivalent to the kinds of problems that are tested for in Rett syndrome. 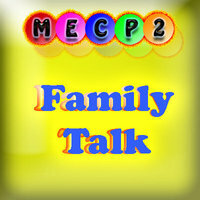 The information coded within the MECP2 gene is incorrect. Going back to the metaphor, you might check a number decks, shuffle through until you find the seven of hearts and look it over. Assuming that they all look okay, you are likely to assume there is no problem and report back that the decks are okay. However, there is another kind of problem that your checking might have missed. Each seven of hearts might be printed perfectly but there are one or two duplicate seven of hearts in each deck. This is the kind of problem that exists in MECP2 duplication syndrome, the individual genes are perfect or at least close enough to be functional, there are just extra copies. So you need, and entirely different different test to find this. But duplicate copies of this card create a big problem in a tournament and extra copies of the MECP2 gene create MECP2 duplication syndrome. Typically, MECP2 duplication tests use microarray, MLPA, or qPCR technology. 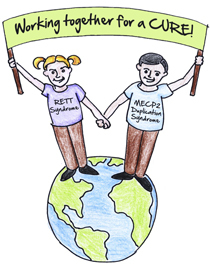 In conclusion, Rett syndrome typically involves problems within the MECP2 gene coding. 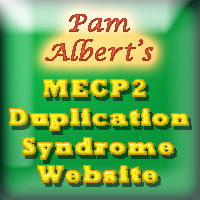 MECP2 duplication involves extra copies of the MECP2 gene. These require different testing methods.. This entry was posted in Genetics, health care, Helpful hints and tagged Genetics. Bookmark the permalink.